Silicon Valley startup Kyvos Insights today emerged from stealth mode, trumpeting a new way for ordinary business users to conduct Big Data analytics. Adding a slight twist to the dozens of similar such news announcements continually hitting the PR wire is a focus on online analytics processing (OLAP) for the new product, called Kyvos. 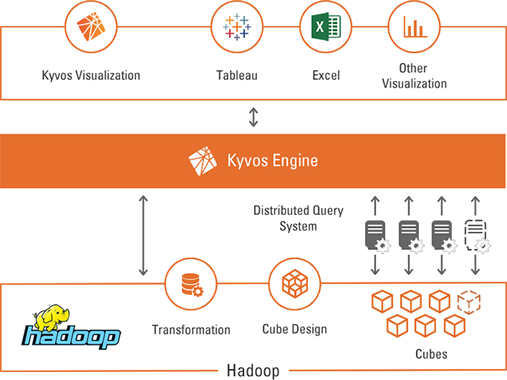 "Kyvos is a solution which brings a new model of online analytical processing (OLAP) to Big Data that allows users to visually create and analyze 'cubes on Hadoop,' " the company said in a news release today. "This technology enables users to easily derive valuable insights for better, more informed business decisions through previously unattainable levels of scalability and interactivity." OLAP is a technology more associated with traditional business intelligence (BI) approaches preceding the ongoing Hadoop/Big Data craze, using data warehouses to hold the data for analysis. OLAP relies on "cubes" for multi-dimensional analysis of disparate data sets to support business decision-making. 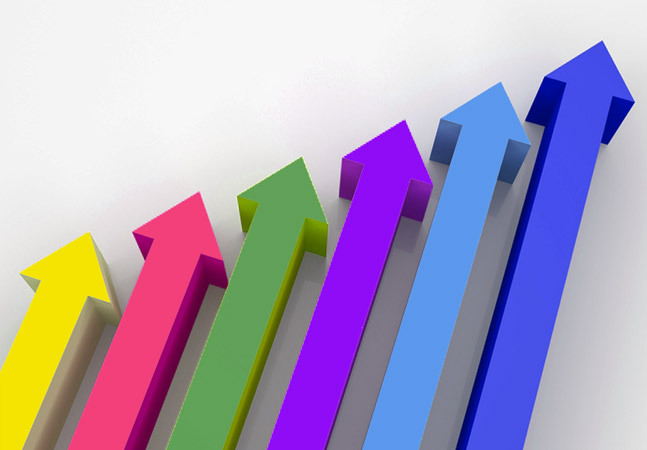 While Hadoop-based Big Data has stolen some of OLAP's thunder, several OLAP-on-Hadoop solutions have been developed, such as the open source Kylin project originated by eBay, and fellow Silicon Valley startup AtScale Inc., which emerged from stealth in April to "democratize" Hadoop and bring "OLAP cubes to Hadoop." Now, Kyvos is promising the same, bringing OLAP analysis from the exlusive province of the traditional data warehouse, where various tools are used to work the data and derive business insights, to Hadoop where it can be leveraged in the Kyvos system by anyone. "The Kyvos solution from Kyvos Insights empowers business users to access, visualize and interact directly with their data on Hadoop, at any scale, without relying on programmers," the company said. "Kyvos supports all major Hadoop distributions including Apache Hadoop, Cloudera, Hortonworks and MapR, giving enterprise customers the flexibility to use Kyvos, independent of their Hadoop vendor." Ordinary business users -- as opposed to highly skilled developers or data scientists -- can do their own self-service analytics visually, using a drag-and-drop interface that requires no programming knowledge. The visualization theme can be extended to users of tools such as Microsoft Excel or Tableau, which is a Kyvos partner along with the major Hadoop distributors. 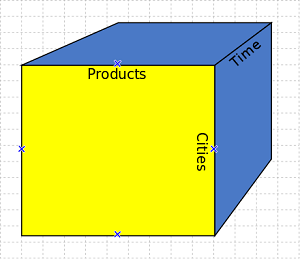 The interactive, visual approach works with data sets scaling into the petabyte range and with cubes featuring cardinality numbering in the hundreds of millions. "Companies are collecting unprecedented amounts of data, but it's very difficult for a business user to directly access and interact with this data in a meaningful way," said exec Ajay Anand. "Kyvos addresses this need by enabling interactive analytics on Big Data using Hadoop at any scale, with instant response times. Business users can now visually analyze their data and get insights instantly, without having to wait, so they can make smarter, more informed decisions." The company said business users can drill down into data -- slicing and dicing in OLAP parlance -- and glean interactive insights immediately without having to wait for others to prepare reports. "There are many diverse tools for Big Data analytics available today, yet few tools support OLAP-based dimensional analytics, Big Data and Hadoop -- all at the same time," the company quoted Philip Russom, research director at The Data Warehousing Institute (TDWI), as saying. "This is an important combination, because many technical and business users want to develop multi-dimensional data models from Big Data, and work with those models interactively and cost-effectively in Hadoop, using familiar slice-and-dice methods. Kyvos is unique, in that it addresses this combination of real-world needs, by bringing mature and revered OLAP technologies to the analytic ecosystem of Hadoop, thereby enabling dimensional analytics on Big Data at massive scale and high performance." Headquartered in Los Gatos, Calif., Kyvos Insights was founded by a team of veterans from Yahoo!, Impetus and Intellicus Technologies. The company provided no information on availability or pricing.